The latest Nikon teaser video is here, and it's less silhouettes and vague talk and more direct than the previous videos. Here are our thoughts. Certainly, the testimonials should be taken with a grain of salt, but that doesn't mean there isn't content in the video worth discussing. 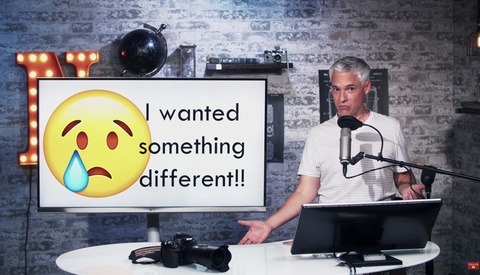 What's interesting to me is that nature photographer Marcel Van Oosten appears in the video and says: "It's really great I can still use all my F mount lenses on this new camera." That in itself isn't surprising; it's been expected for quite some time that Nikon would provide a Z mount to F mount adapter. What's interesting is that as he says that, he's using a Nikon AF-S NIKKOR 180-400mm f/4E TC1.4 FL ED VR, a lens that's typically deployed by sports and wildlife shooters and frequently encounters situations that are highly demanding on the autofocus system. In other words, Nikon seems to have a lot of faith in the capabilities of its adapter. It certainly wouldn't be surprising if Nikon's adapter outperformed a third-party adapter, but of course, real world results remain to be seen. Do you notice anything intriguing in the video? Touchscreen is cool. But still not enough to switch back from Sony. I still can use my f-mount lenses, you hear that? No mention if your existing lenses will offer all the features that are available now on current DSLR's..
you have to wait for the announcement, but the assumption is that at least you can fully operate all the G lenses given they are most of the system at this point and require the mechanical aperture actuator. Hence D lenses may actually work too except AF-wise. As for AI and AI-S, it is anybody's guess but AI-S should not be that complex if they manage to do the G lenses. 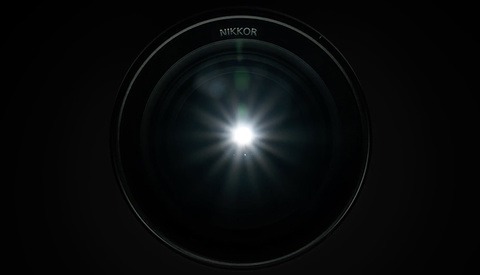 Nikon Rumors is reporting you will need an adapter, which may be cheap or free. You may want to visit their site for more info on it. Yeah of course you need one, the mount to sensor distance is WAY different. No mention of the new lenses, which in the end is going to give each mirrorless system market distinction. off course they are not going to mention them until the announcement. The comment, "it feels like a DSLR" is promising. If it is close to the D850 external dimensions, it will be a good thing for those of us that don't like the smallish FF cameras from Sony. Let´s wait for this one and Canon. I sincerely hope that both could be amazing. We all win if Sony gets a pair of direct competitors. Yeah, the impressions were pretty vague and tepid. I definitely wasn't feeling the "revolutionary" vibe. I'm not a Nikon guy, yet. Since there's going to be an F mount adapter for this, what do you guys think about the possibility of a third-party adapter for Canon lenses? Who the hack are those photographer and no landscape photographers or photography in the video? Hopefully that's the Z6 with the terrible sony-like mode dial. Disgusting. I am an advanced hobbyist that bought his first Nikon in 1970. Because I am so advanced, I would really appreciate a lighter and smaller platform! With the over 15 lenses that I have accumulated over the years, I am hoping the new mirrorless works well, and I can get rid of the DSLR I am currently carrying. If I was buying a new system today, I probably would not choose Nikon; their glass consistency is less important, and only an issue with positive films. What is amazing about that? For what I see at the moment is a different version of a73. Still waiting for the official specs though. But can't get excited for the teaser onestly. 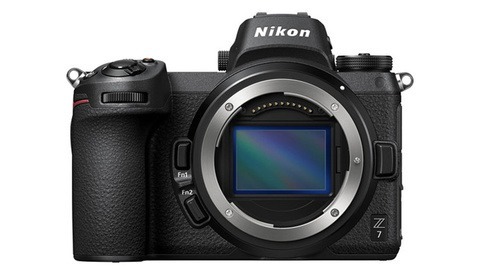 I am really happy that all the fan boys, along with nikon, are joining the game after two year saying that mirrorless wasn't a real camera (someone was calling them Gameboy) that you could not be a Professional if you had a mirrorless..